You may cash in your VIP points anytime. Would you like to ride for free? Would you like free MHBC jerseys and gear? Volunteer and earn credits towards future MHBC rides, jerseys, and more! VIP continues with a simplified points system and provides greater flexibility for volunteers to redeem their points. Who can participate in VIP? All volunteers, regardless of membership, will be tracked in the VIP system. Exceptions include individuals serving as part of an agreement in which their organization will receive a charitable donation in return for their service. MHBC Board members are also exempt from the program. Every volunteer opportunity will be listed as a specific level. Each level earns a different number of VIP points. All volunteer opportunities are Level 1 unless designated otherwise. Level 3 - 40 points - for countless hours of service (e.g. planning or coordinating event rides from start to finish and not being able to ride). Redeeming your VIP points is easy! Volunteers may spend their points at any time during the calendar year. Points can be redeemed for MHBC merchandise, as payment credit toward one of our club rides or membership renewal. How do I cash in my points? Once you're ready to redeem some points, simply contact MHBC Volunteer Coordinator at volunteercoordinator@memphishightailers.com and request a coupon code for the number of points you wish to redeem. Once you receive your coupon code, you can use it on the MHBC website when paying for a ride or merchandise. You must use the entire credit/coupon value at one time. No refunds can be given. Only one coupon can be used per purchase. 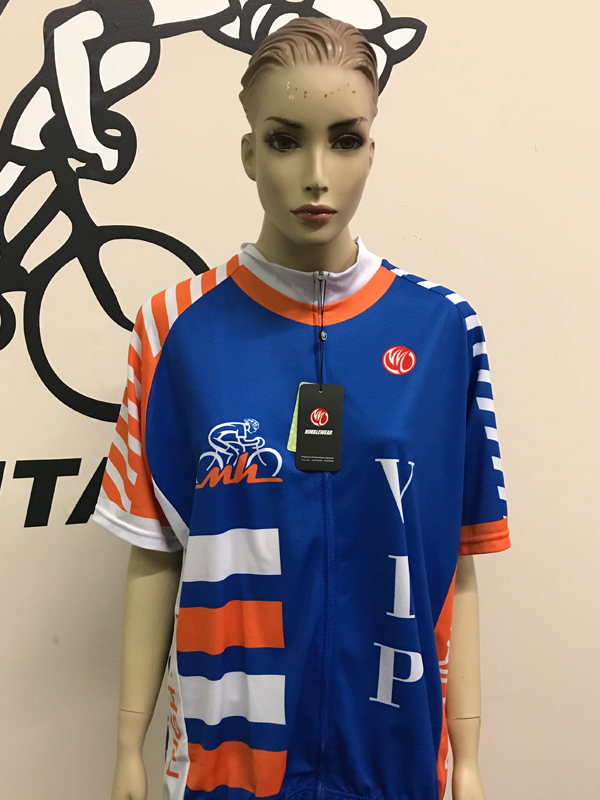 VIP cycling jerseys may be special ordered and paid for with VIP credits only. If you have earned 120 points and would like a jersey, email the Volunteer Coordinator. Questions about VIP or volunteering in general? Thanks again, Volunteers, for all you do to make this a fantastic club!